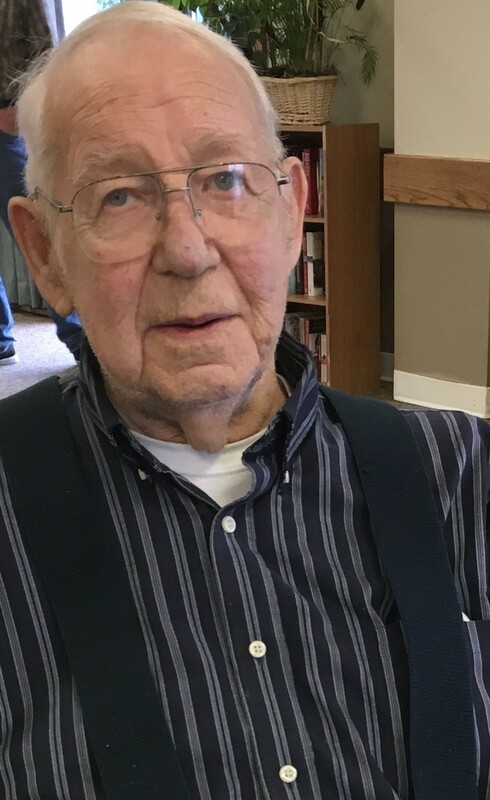 Louis Thiel, 87, of Babbitt, passed away peacefully on Saturday, August 25, 2018 at Diamond Willow. A funeral service will be held Friday, August 31, 2018 at Range Funeral Home at 11:00 am with visitation one-hour prior. Donovan Goblirsch will officiate. Burial will take place at Argo Cemetery in Babbitt. Military Honors will be accorded by the Virginia Honor Guard. Arrangements are with Range Funeral Home in Virginia. To sign the online guest book or to send condolences, please visit www.rangefuneralhomes.com. Louis Thiel was born April 9, 1931 to Nick and Lena (Baisch) Thiel in Waubay, South Dakota. Louis was the youngest of 11 children. He grew up in the Jacobson, MN area and enlisted in the Army in 1948. He was crewman for an anti-aircraft artillery battery and served overseas in Occupied Japan. He was discharged on May 26, 1950. On August 2, 1952, he married Lois Mae Potter in Grand Rapids, MN. They lived in the Grand Rapids area until 1956 when he moved his family to Babbitt, MN, where he began working for Reserve Mining. He retired from Reserve in 1986. Louis lived in the Babbitt/Embarrass area until 2015, when poor health required him to enter assisted living. He moved to Diamond Willow in Mountain Iron on July 24, 2018. He is survived by his children Ken Thiel (Margi Ann) of Virginia; Vicky (Dennis) Harrington of Nashwauk; Mark Thiel (Beth Carlson) of Embarrass; Brenda (John) Kilpela of Makinen; and Stacy Thiel (Jeff Lackner) of Virginia; 9 grandchildren and 11 great grandchildren. He was preceded in death by his wife, Lois; infant daughter; son, Keith; his parents; and 10 brothers and sisters. I am sorry to hear that Louis passed away. He and my sister, Barbara Abramson, were good friends for years. Hopefully they will get to visit again in Heaven. You have my deepest sympathy. Our deepest sympathy to you and all of your Father’s family. Our thoughts and prayers are with you during this difficult time. Love from the Jerry Wallner family.